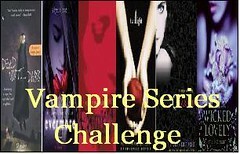 Stephenie Meyer‘s Breaking Dawn is the last book in the Twilight series and is a jam packed book of 750 pages. Edward and Bella are some of the best characters I have come across in a vampire series in some time, and Jacob just rounds out the group. The supporting characters in the series are varied and just as captivating. Breaking Dawn begins where book 3, Eclipse, left off. 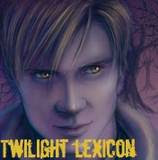 This is not my favorite of the novels, and if you are a Twilight fan you will read it regardless of my review, but if you are looking for pure escapism and a good, though outrageous story, this book is for you. I still think a good 200-300 pages could have been pared out of this novel and sections reworked to make them tighter and more evolutionary in terms of character development. We resume Bella and Edward’s story with the wedding. They are getting married; she has begrudgingly agreed to it. There is not a whole lot of description of her dress or much of the preparations other than to say that Alice has gone all out. Since Book 1 in Breaking Dawn is from Bella’s point of view, it should not surprise readers that the descriptions of her dress and other things are sparse. Bella is not a frilly type of girl. On their honeymoon, they make love like married couples, regardless of their age or agelessness. While I expected everything up until this point, I was not expecting these characters I love to be as static or flat as they were throughout this section of the book. The plot plodded along and the characters went through the motions, but there was little tension, passion, and feeling between these two. The first twist in the book was predictable from my stand point because it was foreshadowed early enough on in the book with seemingly misplaced stories about immortal children. Bella and Edward conceive a child, but no ordinary child–she is half human, half vampire. This is nothing new. I have read the genre for some time, and this is a “legend” that has been worked into a number of novels, though many writers prefer to think of vampires as unable to sire children with or without human lovers. Renesmee, their daughter, was predictable in her need for blood. I surmised this early on in Bella’s ordeal carrying this child. The child’s name is elementary and sappy according to many Internet blogs I have read thus far, but I can tell you that it fits perfectly with Bella’s character, though I’m surprised that Edward did not chime in with his opinion on the matter. The immovable force that is Edward is largely absent from this novel, which made it disconcerting and diminished the evolution of this book. A lot of this first section of the book could have been condensed into a tighter package, and the characters of Bella and Edward should have retained some of their tension and passion-play from the previous books, even though they are now man and wife. The ordeal with carrying the baby to term should have been wrought with greater conflict between the newlyweds than it was. Most of the time Edward was passively sitting beside his wife, helpless. While this shows his inability to solve all of Bella’s problems and to always protect her, it was a bit too much of a character shift. It should have evolved; we should have felt his resolve slip away as he grew more resigned to Bella’s fate and her decision. I liked the interactions between Rosalie and Bella–that was a twist I had not expected. I did not expect Bella to turn to Rosalie in this respect or if she did, I did not expect their bond to be so steadfast and hardy. What a great addition and new dynamic to the expanding Cullen network. Book 2, which is from Jacob’s point of view, threw me for a loop because I was expecting a section from Edward, the father of Renesmee. Instead, Meyer brings us back to our good friend Jacob and his feelings after his “alone” time in the wilderness. His point of view is lively and more on track with the character development Jacob experienced in the first three novels. This section had me riveted more so than the first part of the book. Yes, Jacob still loves Bella in the most passionate and unrequited way, but you can’t turn those feelings off, especially if you are a teenager and have raging hormones. Those expecting Jacob to just shut those feelings off is deluding themselves. Just because the “love of your life” marries someone else, does not meant that you can forget about them or turn off your feelings. The best part of this section of the book is the debate about free will and the collective mind. . .which is better to have for battle and living one’s life? The battle for free will is strong throughout the series, particularly with Jacob and the shapeshifters. Jacob believes in free will, which is why he can no more order Seth and Leah back to La Push than order himself to forget Bella. However, while he admires and supports the ideal of free will, he is still bound by his nature. He must imprint and to imprint upon Renesmee was inevitable because Bella always thought of him as family regardless of her love for Edward. Jacob finds imprinting on young children disturbing, but now he is forced into a similar situation as Quil. This dichotomy is fantastically played out in the La Push community and particularly among Jacob and several other shapeshifers. In terms of the best written sections of the book, those can be found in Jacob’s point of view. Book Three, which is from Bella’s point of view, is all over the place, and Meyer had a ton of ground to cover. Bella was expected at the Volturi when she was finally transformed into a vampire, but a vision appears that suggests that that visit may be unnecessary since Irina spied Renesmee and assumed she was one of the forbidden immortal children. This sets up a whirlwind of events in which Alice and Jaspar vanish for parts unknown and the rest of the family rounds up as many vampire friends as possible to witness the growth and maturity of Renesmee to prove to the Volturi that she is not an immortal child, but a half-breed. While there are many things in this section that I found far-fetched even for a fantasy novel, like Bella’s ability to stave off hunger and behave contrary to all other newborn vampires, I did enjoy Bella’s struggles with her mind shield and her bravery in trying to save all of those she loved. I think the struggles before and after the Volturi arrived would have been more poignant if she had collapsed or expressed some deep thirst for blood. Finally, the build up of suspense while Bella and Edward and their friends waited for the Volturi was fantastic, though the descriptions and intimate details of all the friends and their pasts may not have been necessary. However, for a breach of vampiric law this substantial, bloodshed of some kind should have been called for, at least for Irina’s death. She was part of the Cullen family or so the Denali clan claims. The discussion and minor battles between Bella’s mind shield and Jane and Alec were not enough to satisfy the tension that had built up over the last month in the Cullen household. Happily ever after was an inevitability between these characters, and as a writer, I can understand wanting to satisfy the expectations of as many readers as possible, which is a difficult if not impossible task. I commend Meyer for trying to pack so much into the novel, and I think that the path she choose for them was appropriate. Bella is much more likable as a vampire, though she is still sometimes utterly ridiculous in her actions. I can see how she never really fit in as a human and was a perfect fit for the vampire family. Edward remains the same as he was in the other books, though more lustful. However, his endearing remarks to Jacob were a bit premature for me. Jacob’s development throughout the series is nearly complete, but he has further to go. If there were to be another book in this series, it should be about his evolution and his role in Renesmee’s life. Finally, I wonder what the cover has to do with the title, Breaking Dawn (which I assume relates to the breaking dawn of their new future together as a family), and the book itself. The white queen could be Renesmee or it could be Bella, but who is the blood red pawn? Is the pawn Edward or is the pawn Renesmee. The white statue of the queen suggests vampire to me, while the red pawn suggests shapeshifter or human. Any thoughts dear readers? If I have missed you, please send me your link and I will add it.